It’s race weekend in St. Louis! The Go! Marathon & Half Marathon are this Sunday. 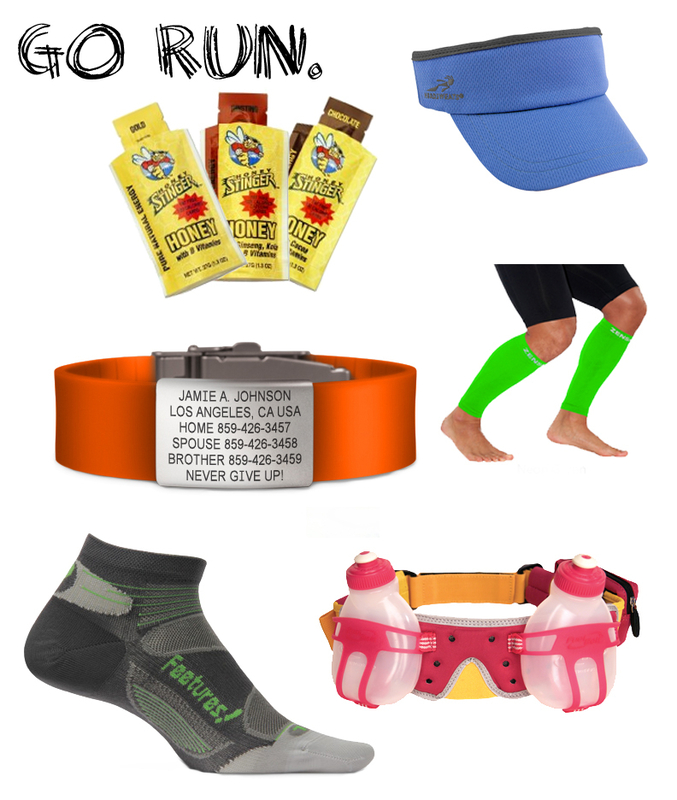 Since falling in love with running, and even beginning to train for an Ironman, I have found that certain running accessories help during those long miles. Here are some of my favorites. Besides good music and the right nutrition/hydration plan, what helps you on a long run? I like JellyBelly Sports Beans (the ones WITH caffeine, thankyouverymuch) and can’t take off without my Garmin watch! Rest the week leading up to the race, and running races in cities where I either have family nearby or friends to run with! Have a good race on Sunday – I’ll be running the half again this year. Can’t wait to get home to run in STL again!